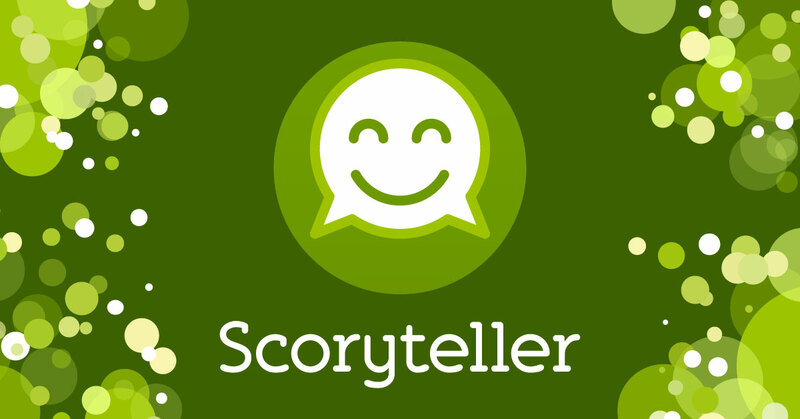 The new Scoryteller app is all about questions so we found it fitting to make this introduction as a quick Q and A about Scoryteller and why you should try it out. Q: I’m already a user of other social media platforms, why should I try out yours? A: We started out with the mission that we wanted a more friendly place to interact with people we care about. A place where you don’t have to be driven to rage by fake och exaggerated news or feel bad over that others seem to have a better life than you do. A place where people were willing to listen before reacting and wanted to know more about the world and their friends instead of just telling other people about them self. We started from scratch and specifically designed Scoryteller to be driven by positive feelings like joy, interest, amusement and inspiration. Do you know what problems the other social networks wanted to solve? Q: But how can the Scoryteller app (or any app) make people be kinder to their friends? A: We designed Scoryteller around the fact that good communication between friends has to have questions. You need to ask your friend something and be prepared to listen for a meaningful conversation to begin. We know that you could ask questions to your friends on other social platforms, however, most of them are designed around exploiting social insecurities which mostly results in rewarding egocentric statements delivered as truths. By using Scoryteller you will open up to the world again. No pressure to press like on something just to make someone (you are already supposed to be close to) to notice you. If you want you can post something you think would make a fellow human being curious, amused or more informed. About you, about the world or about life in general. It’s of course up to you how you use Scoryteller, as long as you are kind and open to others opinion, both your best friends and someone you just met. Do you have a question about Scoryteller? Please comment or contact us and we will add your question and our answer here!